Woohoo the streusel coffee cake won the poll! I've been longing for a cake with no icing, the streusel can't hardly be called icing, can it? 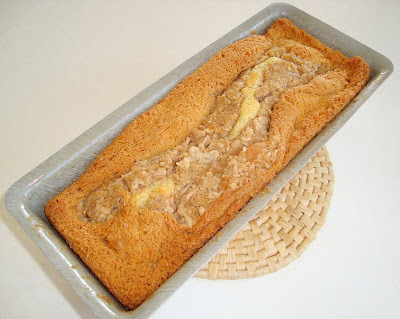 It is quite difficult to find a cake tasty enough that it will suffice without icing, but I am pleased to tell you that this coffee cake is fabulous! Very tasty, the streusel adds a nice touch of crunchiness. And as the name indicates, it is the perfect cake to be eaten with some coffee (or tea in my case). Rating: 5 out of 5! - Preheat oven to 350 degrees. Butter a 9-inch tube pan; set aside. 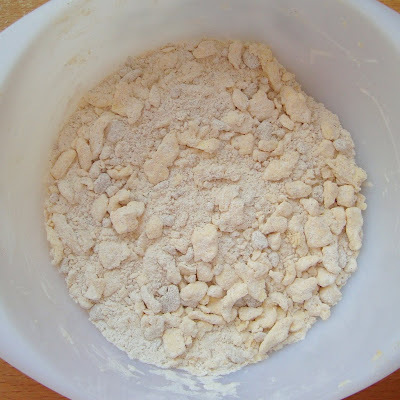 - In a medium bowl, sift together flour, baking powder, baking soda, and salt; set aside. - In the bowl of an electric mixer fitted with the paddle attachment, beat the butter, sugar, eggs, and vanilla on medium speed until light and fluffy, 2 to 3 minutes. 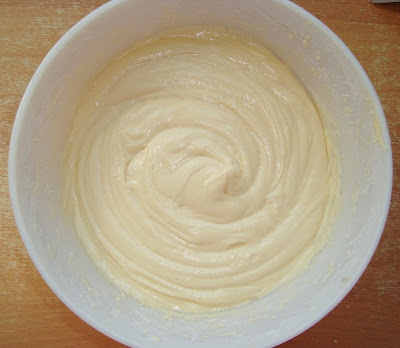 - Add the flour mixture in three parts, alternating with the sour cream and beginning and ending with the flour. Beat until just combined, scraping down the sides of the bowl as needed. - Spoon about half the batter into the prepared pan. Arrange the cherries in a single layer on top of the batter; avoid placing any cherries against the pan's edge, as they may stick or burn if not fully encased in batter. Top with the remaining batter, making sure it is evenly distributed, and smooth with an offset spatula. Sprinkle streusel evenly over the top of the batter. - Transfer pan to a wire rack set over a rimmed baking sheet lined with parchment paper, and let cake cool 10 to 15 minutes. Invert cake onto rack, then re-invert (so streusel side is up), and let cool completely. - Spoon glaze over the cake, letting it drip down sides. Let cake sit until glaze is set, about 5 minutes, before serving. Cake can be kept at room temperature, wrapped well in plastic, for up to 4 days. - In a medium bowl, combine flour, sugar, cinnamon, and salt; cut in butter using a pastry blender, until large, moist clumps form. 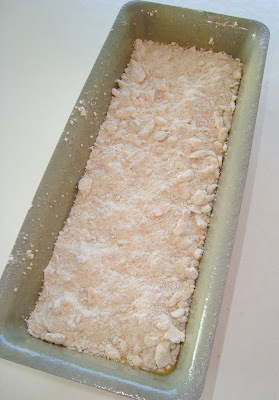 Streusel can be refrigerated in an airtight container for up to 2 weeks. - In a medium bowl, whisk together the confectioners' sugar and milk until completely smooth. Immediately drizzle glaze over cake. The sour cream gives the batter such a lovely fresh taste to it. The streusel topping. The butter lumps look kind of big in this picture, but they weren't. How it went into the oven. The first 30 minutes of baking, the cake looked like it could have won the ugliest-cake award, but at the end it turned out normal! The streusel topping has sunk in a little, yum! This looks delicious. There is something to be said when you can eat a cake with no icing and it still tastes good. Although I love icing, for me - it's all about the cake. 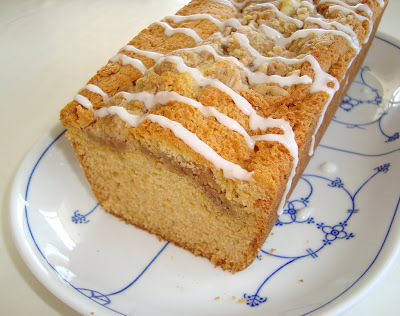 Yummy, I love streusel cake, and it is nice to have a minimal icing cake sometimes, I bet it would go nicely with a cup of tea! Martha rarely let's us down! 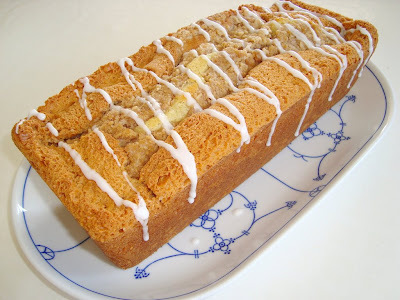 I love streusel coffee cakes! !